Ketchup is considered vegan by most organizations and experts. This staple condiment contains only a few ingredients, many of which are plant based. However, for some strict vegans, not all ketchups make the cut. 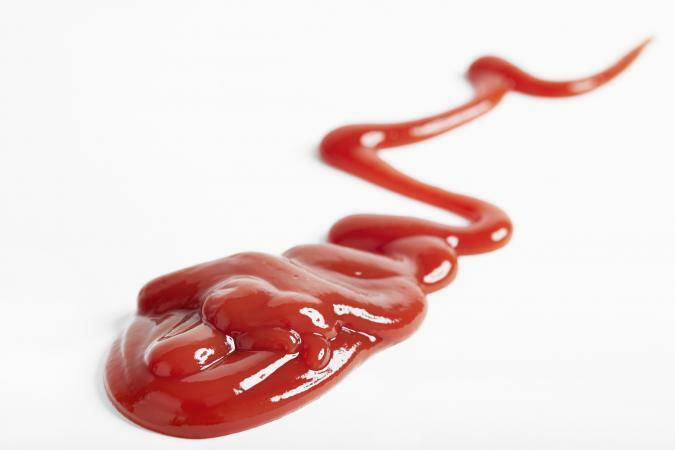 The basic formula for ketchup is tomatoes, a sweetener of choice, salt, vinegar, spices, and onion or garlic powder. At first glance, these ingredients seem 100 percent vegan and for most vegans, that holds true. However, some vegans shy away from white and brown sugars, as they are processed using bone char from cattle. The caveat here is that if the white or brown sugar are certified organic, they were not processed using bone char and therefore can be classified as vegan. In summary, the strictest vegans can consume ketchups that are organic or made with sugars other than white or brown sugars. Finding vegan ketchups to use is as simple as purchasing organic versions of traditional brands, such as Heinz, or trying unique brands that use alternative sweeteners in their condiments. Annie's Organic Ketchup - The organic certification makes this ketchup vegan. Heinz Organic Ketchup - This is classified as vegan by the organic certification. The Foraging FoxOriginal Beetroot Ketchup - Sweetened with beetroot and golden granulated sugar, this ketchup qualifies as vegan. Additionally, ketchups sweetened with high fructose corn syrup or corn syrup are considered vegan, but health professionals warn against consumption of those products. It can also be easy to grab non-vegan ketchups by accident. Here are some lines to be wary of. Simply Heinz Ketchup - The clean, healthy ingredients in this ketchup can mislead, but this condiment contains sugar and is not organic, making it not completely vegan. Hunt's 100% Natural Tomato Ketchup - This ketchup is not organic and contains refined sugar, so it won't meet all vegans' criteria. No matter how strict of a vegan you are, ketchup can fit in your diet. For vegans that eat refined white and brown sugar, all ketchups are fair game. For vegans that don't consume refined sugars, reach for organic ketchups or those made with alternative sweeteners.